We are guilty of not saying enough — or at least not enough good things — about President Donald Trump. I have met too many people recently who, though claim to agree with some of his policies, do not hesitate to say that they just don’t like him. I think he is doing a great job as president, is not being treated fairly by many, and I like him. The president is a New Yorker and as a result he is a little rough around the edges, as they say. Trump was an unusual candidate, and since he took office exactly two years ago he has been an unusual president. It is probably important to probe what it is about this president that seems to irk so many. The reality is becoming clearer as time marches on that this is a matter of style rather than substance. The president offers very real and much-needed substance while his style is a bit wanting and even unattractive. Contrast that with our last few presidents — Obama, Bush, and Clinton. We had as good or at least better style, but also way too much diplomatic panache sans the kind of substance this country needed over all those years. First and foremost, an event that needs to be investigated by the justice department needs to be examined even if it happened a few or more years ago. Whether it is former secretary of state Hillary Clinton’s bungling of events surrounding the murder of Americans in Benghazi, or her erasure of tens of thousands of emails, the fact that it occurred in the past does not mean that it was not wrong and that no one is answerable or has to pay a price for these misdeeds. On the business of the wall and the partial government shutdown, there is something more interesting taking place aside from what the anti-Trump media reports about people not being paid and not being able to pay their car leases or electric bills. As the days go by, it is becoming increasingly apparent that the Democratic party leaders are not standing on strong policies or convictions but rather are obsessed with one thing and one thing only — and that is discrediting and isolating President Trump with the exclusive target of winning the White House in 2020. Both party leaders — Senator Schumer and Congresswoman Pelosi — have in the past voted in favor of funding for a barrier at our southern border, and have done so for much more than the $5.7 billion that the president is currently seeking. The president wants to keep out illegals, some of whom are determined to commit crimes as a way of generating income for themselves and perhaps their families. He wants to stem the flow of drugs that stream into the U.S. and are responsible for the deaths of thousands of mostly young people every year. Today the Democrats in Congress feel that they have Mr. Trump on the ropes, exactly where they want him. We are two years away from any potential change at the national helm, but it seems that the Democratic leadership is fine with hundreds of thousands of federal workers not being paid; to them it is apparently both worthwhile and justified if they can reassume power and move their man or woman into the White House in 2020. At a hearing the other day for William Barr, the president’s nominee for attorney general, New Jersey Senator Cory Booker also spent an inordinate amount of time trying to undermine the Barr nomination. The senator spent his allotted time trying to maneuver Mr. Barr into a corner where the nominee could be painted in some fashion as harboring racist sentiments by being tolerant of the fact that the disproportionate prison population in the U.S. today is African American. The most important matter is the Trump policy on Israel and what we would likely have to deal with if the Democrats move into the White House in 2020. Let’s be clear. 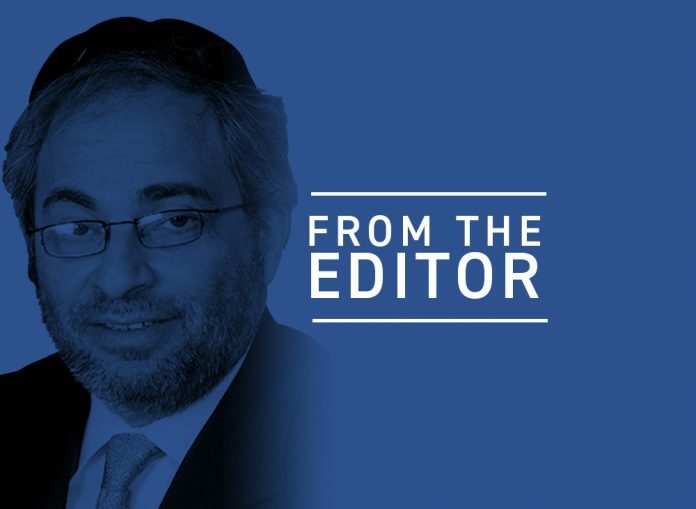 The fact that the Trump administration has a good and favorable position and policies when it comes to U.S.–Israel relations is not a reason for American Jews with a real pro-Israel disposition to unconditionally support the president based solely on our support and the president’s support of fundamental policies on Israel. That Mr. Trump’s policies on Israel are just, good, and historically right has little or nothing to do with his relationships with leaders in the Jewish community dating back to his pre-presidential days in New York. To better understand the evolving Trump policy on Israel, one has to view the eight years of the distorted and imbalanced Obama policy when it came to the security and future of the Jewish state. Donald Trump did not move the U.S. embassy from Tel Aviv to Jerusalem because he wanted to curry favor with American Jews. The sad and unfortunate fact is that that a majority of American Jews, as the community is defined today, was not in favor of the move. 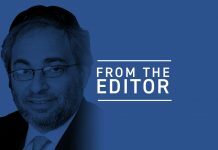 A Jewish majority here in the U.S. also supports the creation of a Palestinian state after all these years because that is still part of the deep-seated and difficult-to-undo Middle East rhetoric. The president is under relentless political siege. Hopefully, the Democratic strategy as hatched by Schumer and Pelosi will shortly backfire, with lawmakers coming to their senses and doing their jobs properly — very soon. 1) Move the embassy to Jerusalem by placing a cornerstone in which his name is in letters as large as those of the name of the country. 2) On the advice of Turkey, pull out of Syria leaving Iran and Russia as the powers in the region. Is this really what you call “just, good, and historically right”? Larry, I’m curious why you “like him.” He is a hideous human being.